Calling all Neighbors! 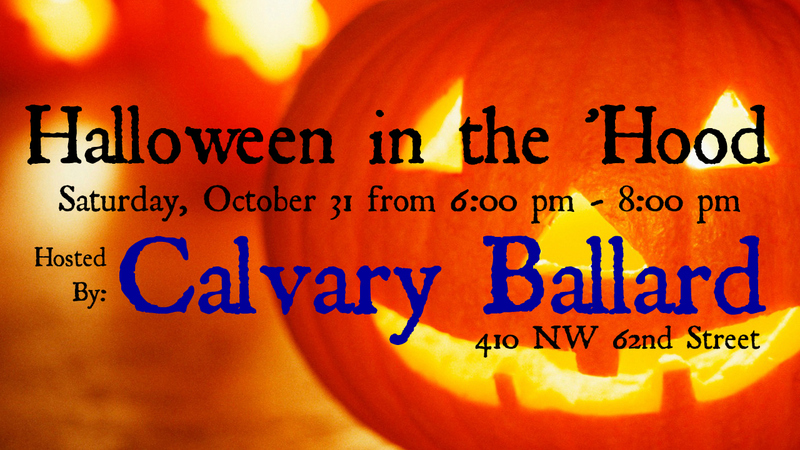 Calvary Ballard is hosting Halloween fun for everyone on Saturday, October 31 from 6PM – 8PM. Come by for free hot dogs, cider, kids activities, & candy as far as the eye can see.